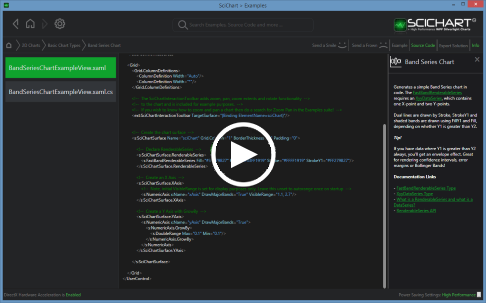 This example demonstrates how to add or remove DataSeries from a SciChart3DSurface in code. This is achieved by changing the SciChart3DSurface.RenderableSeries collection at runtime. Click ‘ADD’ several times to add series. Now click ‘DEL’ to remove the last series. The C#/WPF source code for the WPF 3D Chart Add Remove Data Series Example example is included below (Scroll down!). Text="Add one or more series to the chart. Click "
Text="Now delete last added series. Click "
// To declare scale and colour, add a VertextData class as the w (fourth) parameter.